Yes, the postage costs ARE murderous! 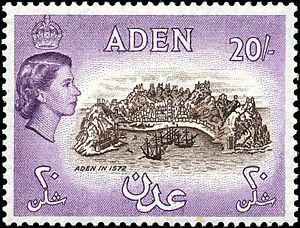 Aden is Charles’s semi-private internal world – a realm which currently consists of 98 Waypoints or nearly 70,000 square miles of territory. That’s still actually a relatively small world – about the size of Ireland or of a middle-of-the-run US State – but it’s still six times the size of Hawaii and could (with his various enhancements) readily support many hundreds of millions of people. Attunement Recognition (0): Well, the place is a part of Charles’s soul, and so recognizes his friends, allies, enemies, and guests. Basic Senses (0): Charles can sense what’s going on in his little universe; the difficulty to hide from him there is 5 (for both material and immaterial beings), and all dice pools to do so are reduced to zero before charm use. Cosmetic Displays (0): Charles can pretty much redecorate at will – changing minor details, causing the skies and lighting to reflect his mood, and so on. The Subtle Bearth of Sextes Jylis (1): The weather is under Charles’s full control. In fact, this is augmented; he may, if he so desires, whip up storms, lightning bolts, St Elmo’s Fire, and similar weather-based effects and assaults (+1). As a rule, however, Charles prefers sunny days, night rains, pleasant temperatures, and cooling breezes – although you will find snow on the ski slopes, occasional spectacular night storms, and beautiful sunsets (even if that does require a little help from those Cosmetic Displays). Life-Sustaining (2): Recognized residents do not age, gain +5 Bonus Successes against Poisons and Disease, and heal 2B/Hr, 1L/Hr, and 1Ag/5Hrs (this also means that many crops and agricultureal products can be harvested every day). Bleeding stops near-instantly and wounds heal cleanly, and without scarring. Upgrades: Immunity to Poison and Disease (rather than just getting five automatic successes against them). If new arrivals are afflicted with such things the effects will be halted instantly and they will be permanently cured if they remain for at least twenty-four hours (+1) and Immunity to Crippling (residents are immune to Disabling and Crippling effects and will heal any currently affecting them within twenty-four hours of arrival, +1). Arcane Metabolism: The recognized residents metabolisms (and those of the flora and fauna) are augmented by Essence, rather than being exclusively supported by mere food and drink – and so need a lot less in the way of food, water, and air. The plants grow faster, the local fauna is far more plentiful, and so on. Family Planning: Aden quietly manipulates the fertility of the various living creatures within itself – keeping populations from burgeoning out of control preventing cycles of boom-and-bust, replenishing species which have suffered disasters, restraining pests, and ensuring bountiful harvests and hugely productive flocks herds. Harvesting: Aden harvests and imperishably stockpiles it’s own resources, in an ecologically-friendly, and fully sustainable, fashion. Every day it collects small amounts of magical materials from plants and regions that “naturally” produce them, harvests and cures wood, produces fair amounts of various metals, vast loads of foodstuffs, assorted exotic components and substances, and (sadly) thins the animal populations down to sustainable levels – which at least provides meat, leather, fur, and similar goods. Landscaping and Maintenance Services: The lawns are mowed, the trees are trimmed, the fences are maintained (and do keep dangerous creatures out of the inhabited areas), the gardens are weeded and planted regularly, and much of the landscape seems quite idealized – and utterly lovely. There are lovely campgrounds, tempting trails, and similar delights in every direction. The living quarters get automatically repaired and kept up as well. Occult Utilities: All of Aden effectively enjoys the benefits of running water and plumbing, “broadcast” electrical power (OK, electrical toys just work without any need to provide them with power), “cable” (including the local internet), and garbage disposal / recycling. Ordained Hospitality: Recognized residents will be provided with cooking, cleaning, laundry, and filing services, furnishings (chairs, tables, pavilions, beds, wardrobes, gazebos, and so on will all appear and disappear as needed), and similar basic comforts. Their visits should be as comfortable as possible! Sanctum Sanctorum: Aden is linked to Yu-Shan, where Charles spends so much of his time, and shares it’s basic properties; you can’t dematerialize within it, Ambrosia and Quintessence can exist there, and so on. Shipping Networks: Recognized residents can have stuff shipped around Aden quickly and easily – including everything from letters to massive blocks of stone – but Charles, of course, gets the best and quickest service. Others may have to wait a bit on the convenience of the local messenger gods. Thaumaturgic Support: Aden will sustain three thaumaturgic effects for each recognized resident. While these can be dispelled normally, the endless power reserves of hundreds of manses means that they will re-establish themselves six ticks later. Such effects do not actually have to be on a resident and do not have to be cast by the resident – a fire-protection spell cast by a hired thaumaturge on a residents house qualifies perfectly well – but they do have to be things that the resident wants to keep on working. Thaumaturgic Empowerment: Any sapient creature in Aden gets seven free uses of thaumaturgy per day (ignoring the usual mote and/or willpower cost), with +3 bonus successes and a one-level reduction in the time required. As an aspect of Charles, Aden is as deeply attuned to thaumaturgy as he is. In general, thanks to Charles’s incredible occult skills, the other aspects of each waypoint-landscape will be maximized as well; the land is incredibly fertile and richly-watered, filled with mineral wealth, and well-stocked with valuable game (Resources 5), it often offers sources of small amounts of magical materials (+5), and it comes equipped with (somewhat fanciful) housing ranging from rustic “hobbit-holes” and bungalows on up through country villages, fairy-tale castles, cliffside-and cavern cities, and modern arcologies. All, of course, are beautiful, blend into the countryside, and are entirely ecologically-friendly. They’re also linked by subsurface magnetic levitation trains for goods and mass transport (or at least the major centers are so linked), modern communications, and are surrounded by orchards, well-equipped farms complete with domestic animals, and belts of wilderness. There are roads, bridges, and canals (most pleasantly rustic, since the serious transport goes by the underground trains), and even fortifications to keep wild animals out. Each waypoint will have three demesnes (and soon manses), rated at five, three, and two. The Manse-5 will be a major installation/production center – factory-cathedrals, structures that generate programmable mutation-fields, gate-nexi, essence-batteries, and other primary facilities. The Manse-3 will vary – but at least some will be set up so that they can establish a link with people remotely through their hearthstones and bestow the ability to use a particular charm on the lucky individual so honored. That way Charles can bestow power-packages on his “Akuma”. The Manse-2’s will be a lot more random – but will generally serve more local purposes. Finally each waypoint will have it’s own Wonders – usually four minor and three major. Minor wonders are things that are cool but not directly useful – towering mountains of crystal, glorious waterfalls, fields of geysers, smoking volcanoes, rivers that play music as they tumble over rocks, flocks of beautiful singing birds, and swarms of playful fuzzy animals are all good examples. Major wonders are potentially useful, such as valleys filled with exotic herbs, meadows of poppies with intoxicating scents, orchards of strange and exotic fruits, rivers of flame and light, and ecologies filled with giant reptiles. All in all, Charles hopes to eventually be able to manifest his world-body, take aboard a few million people, travel to a new world, terraform it with Solar Circle Sorcery, mutate the people to fit in, and drop off a fully-equipped and well-supplied colony… That will take more work, but this is a good start.